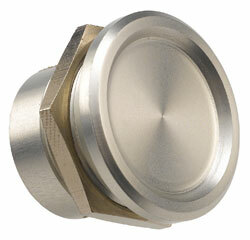 Durakool's Smartswitch Piezo switches line, offers advanced technology in a high finish. Durakool switches can be used in outdoor machines like fuel pumps, car wash stations, weighing stations etc, where they are exposed to harsh weather conditions. In applications where there is no need for machine status indication, Durakool's non-illuminated range is advisable. Ring or dot illuminated switches, provide an advanced user interface in the form of visual operation-feedback or switch mode indication and are advisable for more advanced applications. 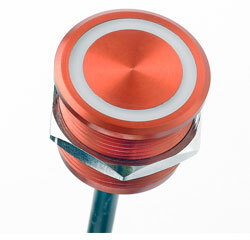 The basic piezo switches family represents a range of switches operated by touch. The action force on the Piezo disk causes a voltage to be induced due to a charge transfer. The voltage generated is converted by the electronic connection into a polarity-neutral, electronic switch contact. 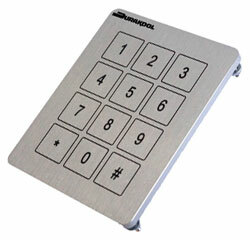 The programmable Piezo switches family represents a range of switches operated by touch and featuring various time-delay and automatic activation functions. Based on the basic Piezo switch, the programmable Piezo switch is an integral solution for any practical switch activation market.